Circuits are the building blocks of technology. They’re in everything you love. The guts of all your prized possessions. Unless you work with them though, chances are you don’t really care about how they work, until you find you can use them to make something cool. 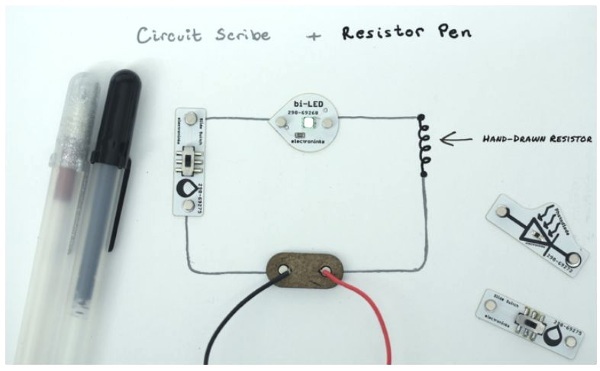 Circuit Scribe is a pen that lets you literally draw your own circuits. Because the connectors are all designed to touch ink on page you don’t have to worry about more advanced tools and can start simple. Make a light turn on. You can do this. No pressure. As you get more comfortable you can add more pieces and expand to more complex projects. Start small. Dream big. 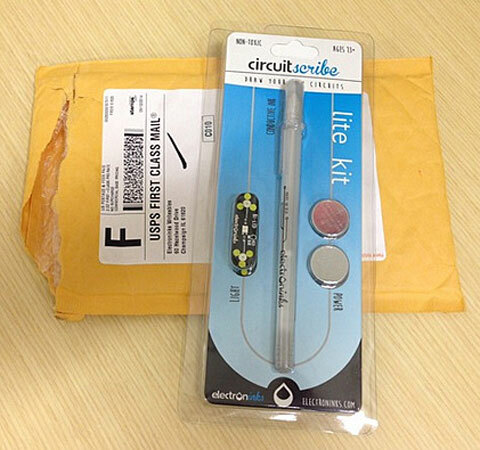 The Circuit Scribe is $45 for the Basic Kit.